I have been working in the hospitality industry for the majority of my working life. There was a short time there where I worked in an abattoir; it’s not as glamorous as it sounds. That was really hard physical work and at the end of the day you felt it. This was an extremely busy time in my life, I worked with my friends the pigs for 40 hours and then on the weekends I used to deliver propane for a friend of mine who owned a business – Burden Propane. Who knew there was so much money in Propane, he did. After my days delivering propane, I would head off to my night job on the weekend as Busboy in the Lakeside Terrace Restaurant at the Harrison Resort. I remember these times fondly as I paid off all my debts and was just making money. I was also single at the time –what a surprise. I grew up in Agassiz BC right next door to Harrison Hot Springs. 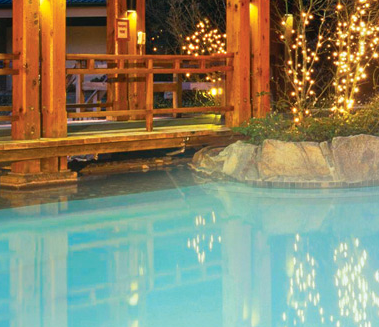 I started working at the Harrison Hot Springs Resort & Spa right out of high school. It was just what you did in our small town. I worked at the resort for many years and saw four different ownerships starting with the Wosk Family, then Itoman of Japan, followed by Hostmark Hospitality and finally Delaware North. it was quite a ride. I started as a houseman setting up meetings and cleaning the hotel. My wife is thankful to this day as my bathroom cleaning skills are second to none. One of the funniest things that ever happened to me, (well funny now but horrible at the time) was when I worked a graveyard shift with instructions to set up a meeting room. This particular meeting required the hanging of banners from the ceiling and setting up the event theatre style for 200 with screen and mics down the middle of the walkway. So I set off to take care of this job for the evening and was pretty proud of my work the following morning. When my senior partner came in the to double check that everything was set up correctly he just about dropped his shorts. I had set the room up backwards. We quickly reset the chairs and the stage and screen prior to the guests’ arrival and all was well. I got a warning. It has been many years since that day and I have had many successes and challenges since that time, all learning experiences. What I have learned about mistakes is they are going to happen, but with honesty and integrity you can learn from them. Great background info and personal story about learning from past mistakes! I’ve always valued honesty and integrity, as well as taking pride in everything that you do. Thank you for sharing some of your personal experiences.